Love encounters with manta rays? This is the hotel for you. 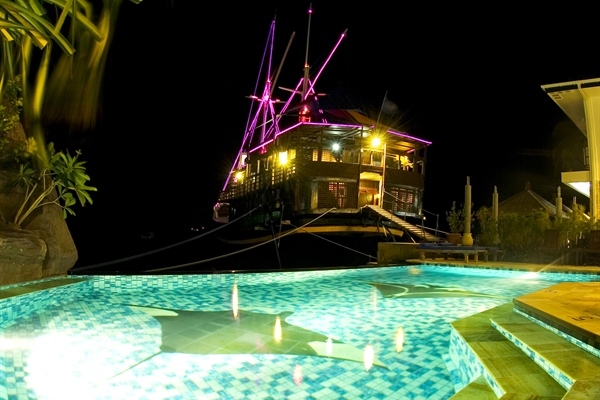 The Manta Ray Bay Hotel is a dedicated dive resort, designed by divers and built for divers. The improvements in 2006 have made it even better and the resort is now able to provide guests with the best dive experience of their lives. 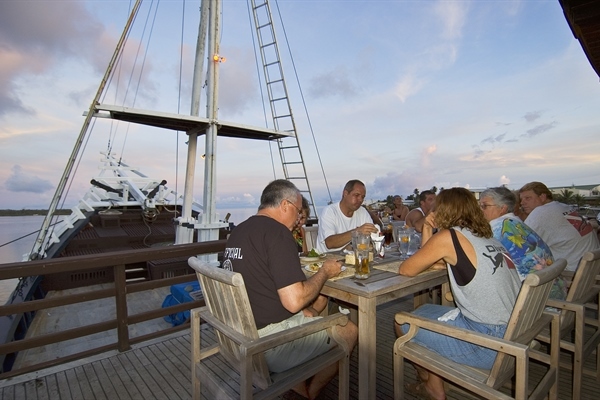 Yap Divers is a PADI 5-star facility located on the premises, offering a full range of PADI courses and the diving sessions organised daily to see the large population of resident manta rays. In Yap a manta dive does not mean diving hoping for a manta encounter, it means diving to see the mantas. 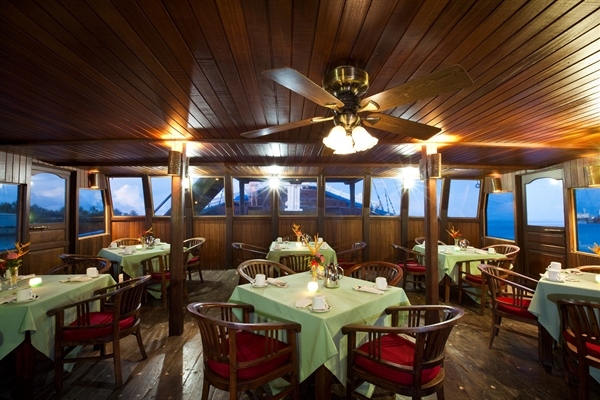 The Manta Ray restaurant is located on the main deck of the "SV Mnuw", the very own hundred year old South Seas Schooner where guests can enjoy the fine view through panoramic windows and then let staff pamper them. 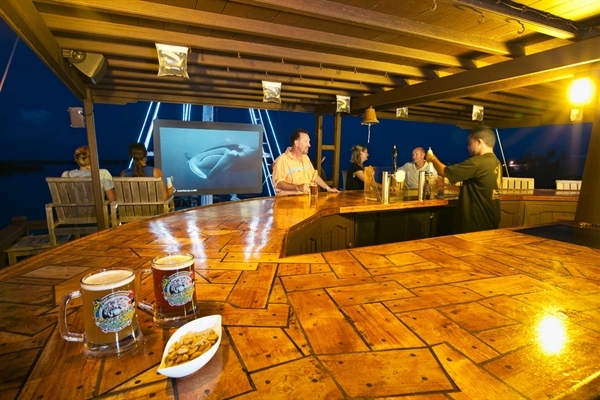 The hotel has 28 rooms, including 15 ocean view rooms, 4 deluxe ocean view rooms and 9 standard rooms. 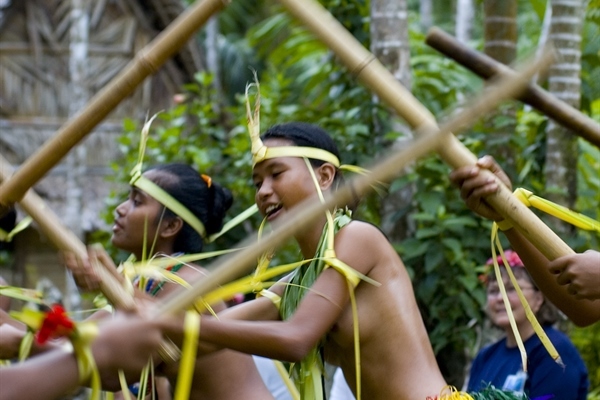 Attractions like seaside men’s house, cultural village tours, stone money banks, native dance performances, and mangrove forests highlight any visit to this pristine paradise. 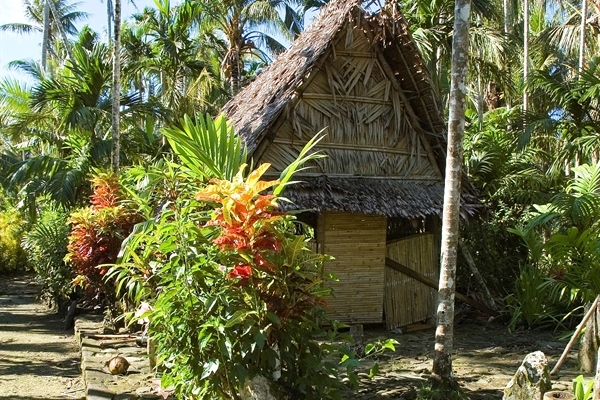 Unlike other states in Micronesia villagers have retained their distinctive native culture and are eager to share it with visitors from around the world. All rooms are spacious and are decorated accordingly, right down to the hand-carved key chains and handmade bedspreads. 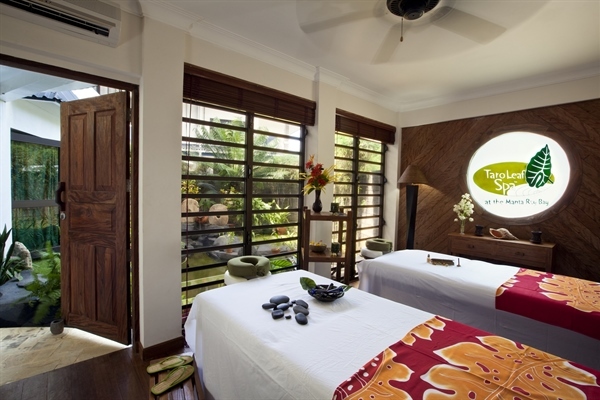 The rooms are decorated in tropical elegance with tiled floors and feature natural rattan or handmade teak furniture. The standard room has 1 king or 2 queen sized beds.The diver option includes 2 dives a day except arrival and departure day and Airport transfers. 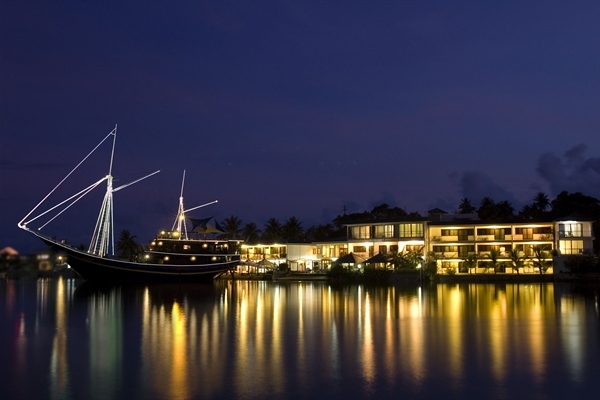 The Ocean View rooms provide a view of the lagoon and have private balconies. Ocean View rooms have 1 King or 2 Queen sized beds and are decorated accordingly in a tropical elegance and tiled floors. 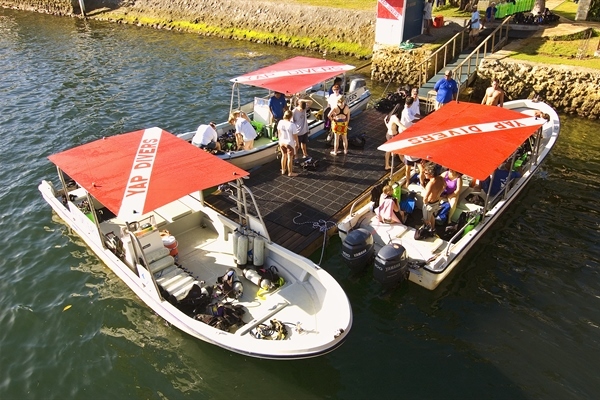 The diver option includes 2 dives a day except arrival and departure day and Airport transfers. The Deluxe Ocean View Rooms have one King size antique poster bed. 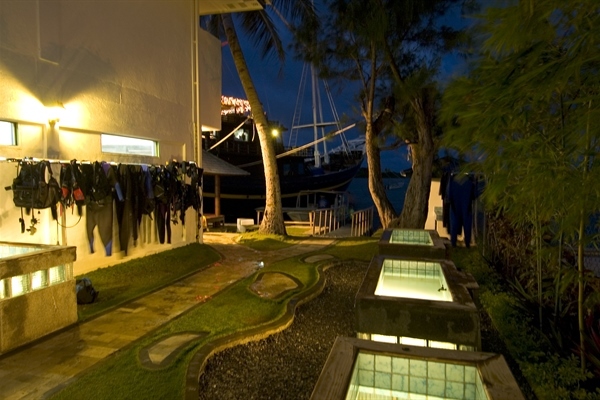 Two rooms are located on the ground floor, each having a private deck extending to the lagoon with a private plunge pool. The newest Deluxe Ocean View Rooms are mini-suites on the 2nd & 3rd floor with a king-sized bed, tropical hardwood flooring in the bedroom portion, a sitting area and a unique indoor ‘river stone’ garden shower. Approximately 5 minutes from the international airport. 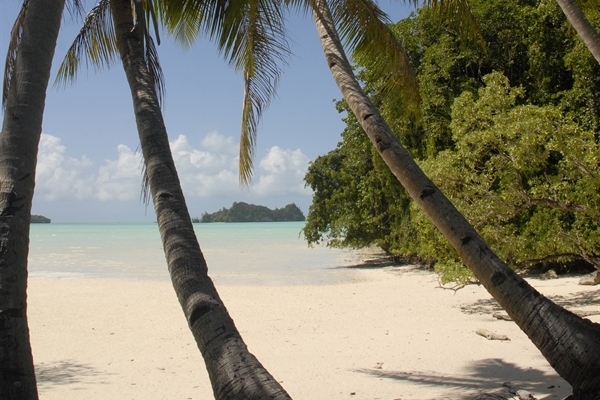 With Yap Divers, you can be assured of clean, pure air, safe diving, and a full range of instruction available from Open Water through Divemaster. They also offer a number of specialty dive certifications for those who want to expand their formal dive training, and we are home to the only place in the world where you can do the PADI certified Manta Ray Awareness Course. 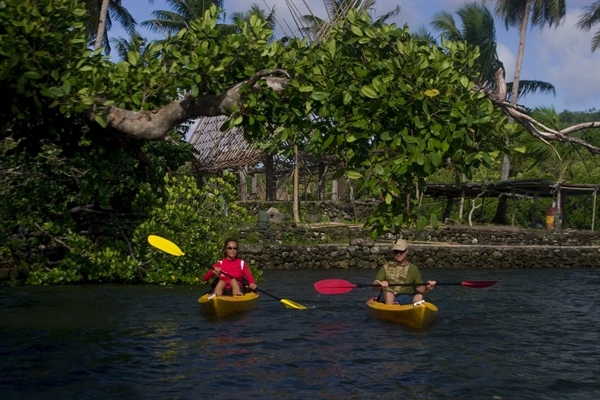 This makes for a perfect combination to enhance the Yap Island vacation. Yap Divers also offers the only NITROX blends on Yap as well as PADI Enriched Air Specialty or TDI Nitrox Certification Classes. The dive traveller is offered all that he or she could ever ask for in terms of dive experiences with regularly scheduled drift dives, wall dives, cavern dives and night dives, as well as their specialty, Giant Manta dives. 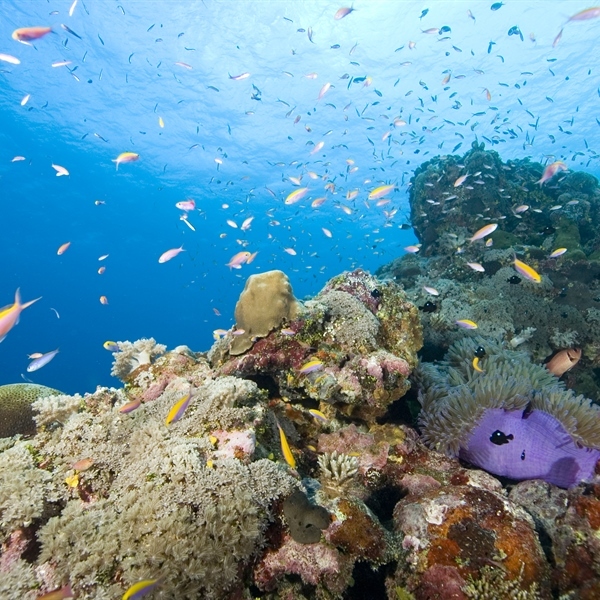 Although they have a host of charted dive sites and a program to discover more dive destinations, the fun part is that more than 50% of Yap's reefs remain unexplored. 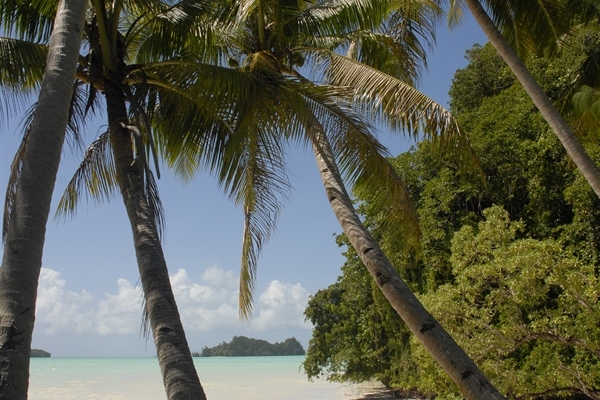 It is often said that Yap is "World Class Diving's Best Kept Secret". 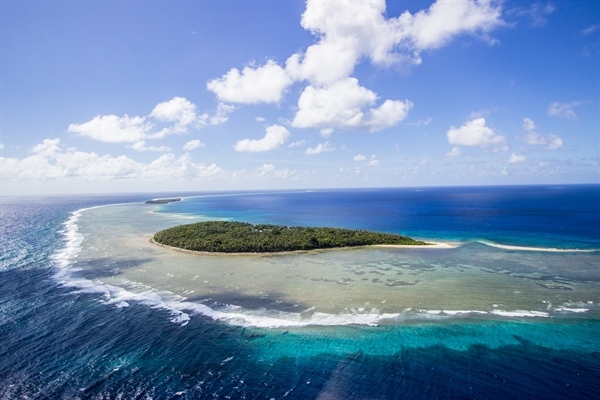 Very few people know or will ever know Yap’s reefs like the staff at Yap Divers. 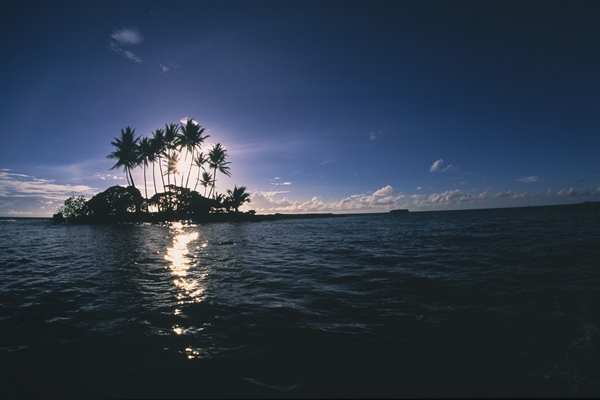 Most dive sites in Yap were discovered and named by us. Mi'l Channel, one of our premier dive destinations, is more than the "home of the Mantas" - this site has been classified by Skin Diver Magazine as one of the top dive destinations in the world. 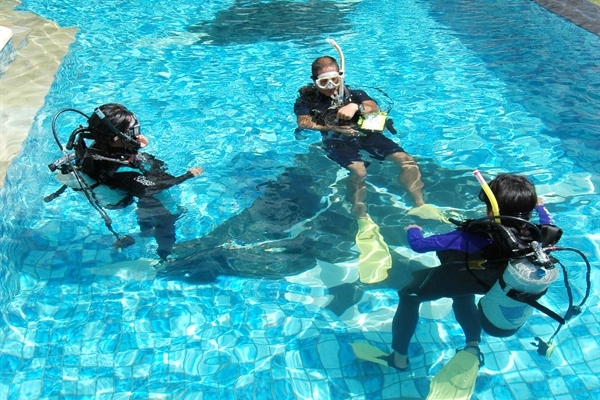 All courses include all study materials, certification, equipment, instruction, and dives.